The Vandoren Traditional Bb clarinet reeds are consistently responsive and wonderfully centered. Each Vandoren Traditional Bb clarinet reed is cut from field-dried cane that grown in the Var region of France. The traditional Vandoren clarinet reed features a French file cut and even tip. Box of 10. 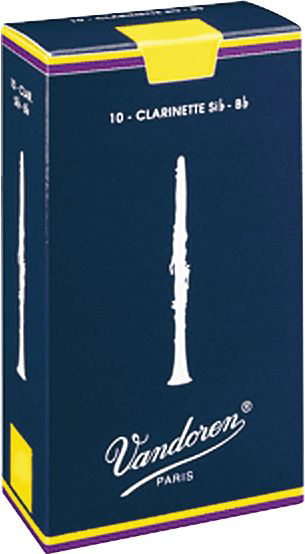 Vandoren Traditional Bb Clarinet Reeds The most widely played reeds in the professional world, with a superiority proven over many years, these reeds suit all styles of music. Box of 10.